Color space usually refers to the combination of hues, tones and shades that are used to recreate a particular color on a certain device. For example, the colors you see here, on your computer screen or smartphone, use an RGB color model, whereas the colors from a printed brochure or catalogue are based on a CMYK model. The RGB color model implies a combination of red, green and blue to recreate a variety of colors and it is typical for lit screens. 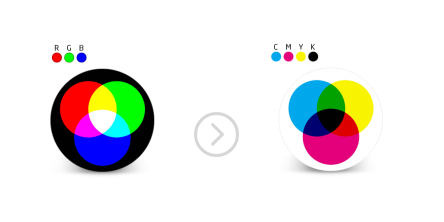 The CMYK model, on the other hand, is based on a blend of different tones — cyan, magenta, yellow and key (black), and it is used to define colors when preparing a digital image for print. If you print an RGB image without converting it first to CMYK, there is a great chance that the printed image will not reproduce colors as you saw them on screen. So if you're looking for a truly accurate representation of an image on paper, don't forget to change its color space before printing. Apart from RGB and CMYK, reaConverter also supports the YCbCr and YCbCrK color spaces, which are linked to RGB, and the GRAY color space, which reproduces all colors in grayscale. Changing color space in one or in several images with reaConverter's latest interface is simple and takes no more than a few seconds. 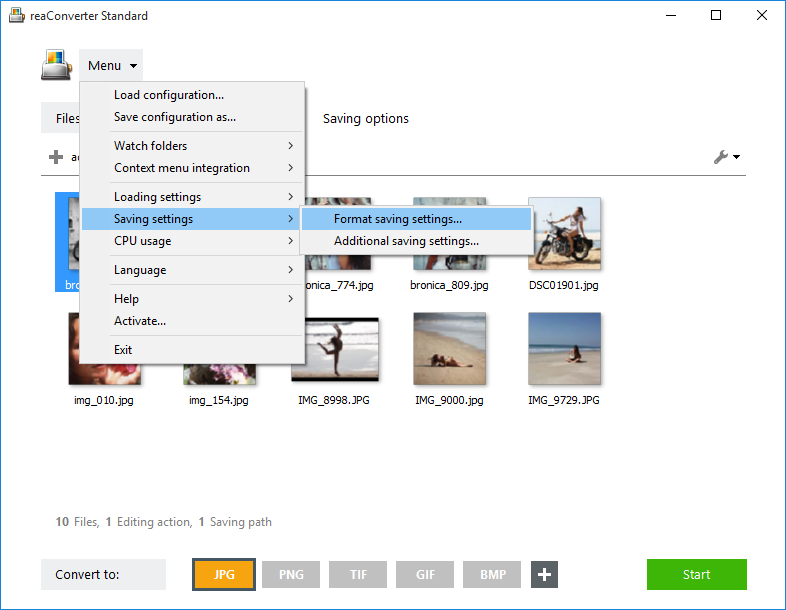 This powerful batch image editor & converter makes the process really easy and quick. Load all the images in which you plan to change color space. Select them manually or add them in groups using the drag-and-drop tool or by adding entire folders. Here you will be able to pick the desired color space from the dropdown menu, and customize the quality of the output JPEG image. In case you don't want to apply any image editing (such as resizing, rotation, cropping or several other available features), go directly to the Saving options, where you can decide on a location for your new image files. You can save them in the source folder or in a newly created one. 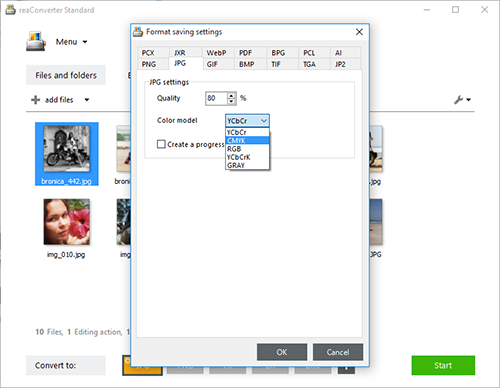 Finally, press the Start button and wait no more than a few seconds for your converted images to be done.